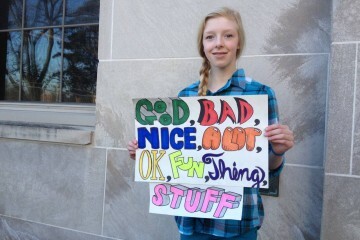 Photos courtesy of Block 292. 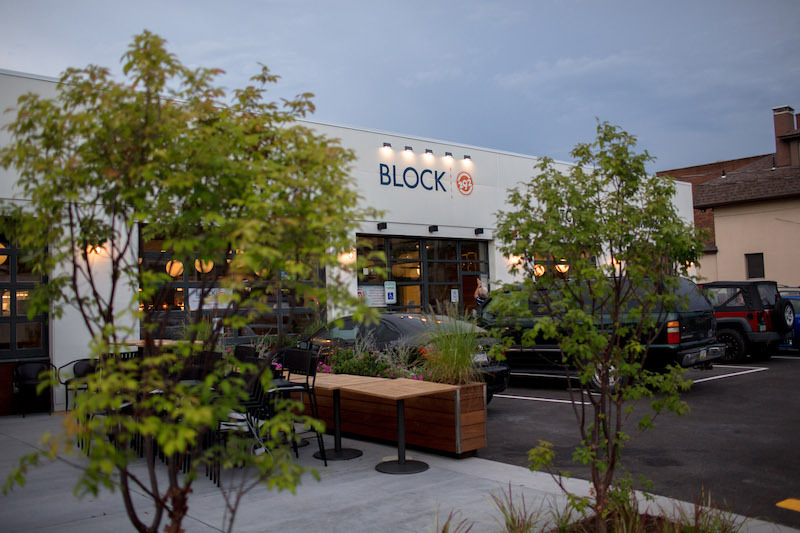 Block 292, a classic neighborhood gathering place with a decidedly modern feel, is now open in Mt. Lebanon. 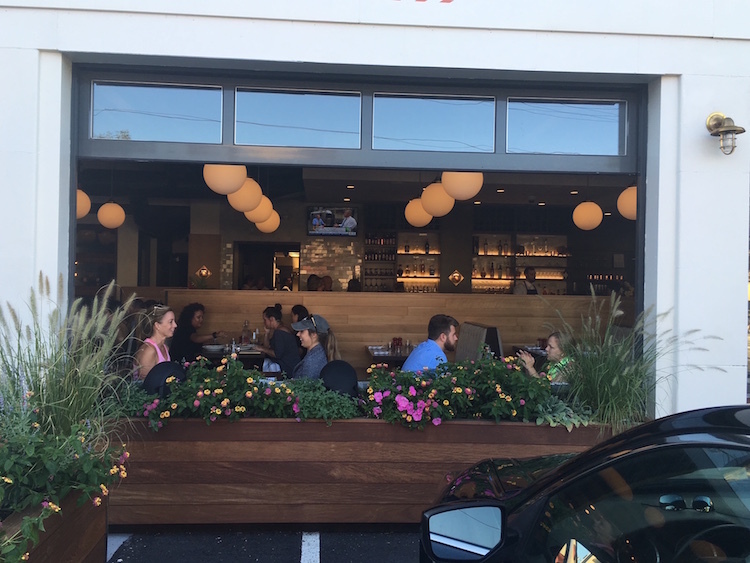 Located in a former service station on Beverly Road, Block 292 combines a corner market, butcher shop and restaurant/bar in one beautifully designed package. Brooks Broadhurst is the man behind the new destination. Alongside several family members, Broadhurst spent two decades working for Eat’n Park in various capacities. But when a perfectly situated space became available in his neighborhood of Mt. Lebanon, Broadhurst stepped back from the family business to pursue a dream of his own. And now, after nearly a year of planning and renovation, that dream has finally come true. 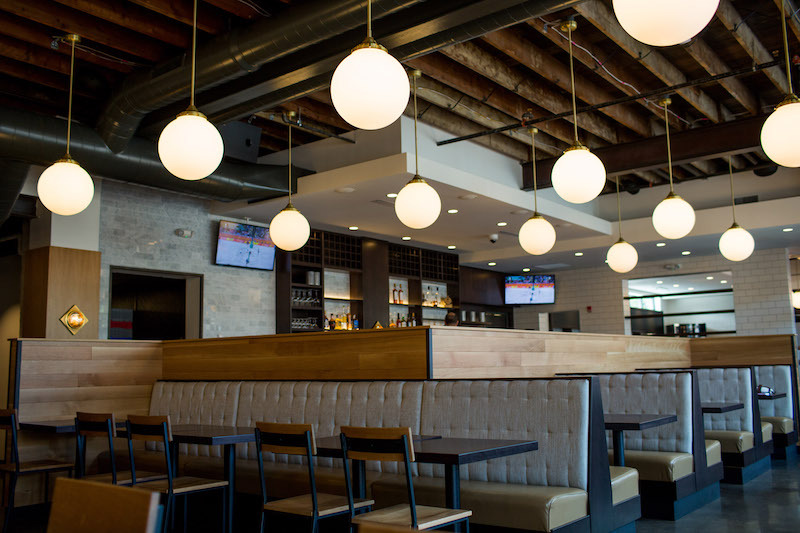 Though a few vestiges of the building’s old life remain (the team preserved much of the service station’s original concrete floor), Block 292 sports all the trappings of a chic, modern eatery, including subway tile, roll-up garage doors and lots of natural wood. The café seats about 80, with additional seating at the bar and on the patio. At Block 292 on Beverly Rd. in Mt. Lebanon. Photo by Tracy Certo. For many, the butcher shop will be the most appealing piece of the new space. In an age when many of us get our meats pre-cut and plastic-wrapped from the grocery store, it’s difficult to find a true neighborhood butcher shop. Block 292 brings in whole animals and sides of beef (sourced primarily through Latrobe’s celebrated Jamison Farm), meaning that customers can talk to the knowledgeable staff and get fresh, local meat for the night’s dinner. Speaking of dinner, Block 292 also boasts a small market. The market focuses on quality over quantity: “The goal is to have enough stuff for you to make a meal that day,” explains Broadhurst. 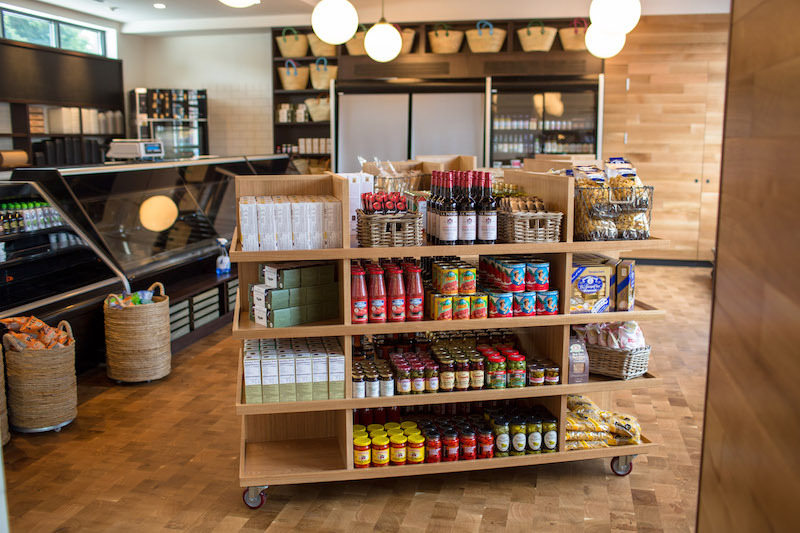 This includes a selection of dry goods, local produce, and a few prepared items. The market at Block 292. And if you don’t feel like cooking, Block 292 has you covered. Under the direction of Executive Chef Christian Schulz (formerly of Crested Duck and Root 174), the restaurant portion will serve up seasonal American cuisine at lunch and dinner. The day I stopped by, the team was trying out a few early versions of dishes, gathering around a prep table crowded with zippy soups and vibrant salads. The style feels familiar yet fresh, allowing great proteins and produce to shine in simple preparations. The lunch menu features a handful of sandwiches, burgers and salads, and an expanded dinner menu includes some more refined starters and entrees. But Broadhurst stresses that, no matter the meal, Block 292 is all about providing approachable, affordable food to his neighborhood. The bar extends the local focus to your glass. Eight taps pour both wine and beer, and the starting draft lineup features all-local brews, including the Killer Diller IPA from nearby Spoonwood Brewing. Local options from Maggie’s Farm, Boyd & Blair and Wigle fill the backbar, and a small cocktail menu features seasonal variations on classic drinks. Block 292 softly opened this past weekend. The market and butcher shop are off and running, and the restaurant will offer limited lunch and dinner hours as the team settles into the new space. Once the opening kinks are smoothed out, Broadhurst has lofty aspirations for Block 292, including adding a weekend brunch, holding wine dinners in their private dining room, and adding a “grab and go” ordering system to the market. Follow Block 292 on their website and Facebook page for all the details. 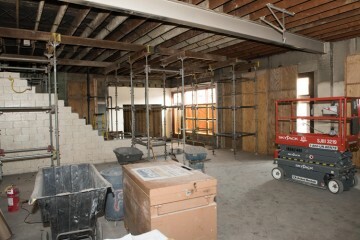 The dining room at Block 292.